Obituary for Justin Gene Walker | House of Wheat Funeral Home, Inc.
WALKER, Justin Gene, age 44, born September 25, 1974 in Dayton, Ohio to Cynthia M. Campbell and the late William Gene Walker, departed this life unexpectedly Wednesday, October 10, 2018. He was a graduate of Chaminade Julienne High School and attended Ohio University. Justin was an employee of Ford Motor Company. Preceded in death by his uncle, Steven M. Gipson. 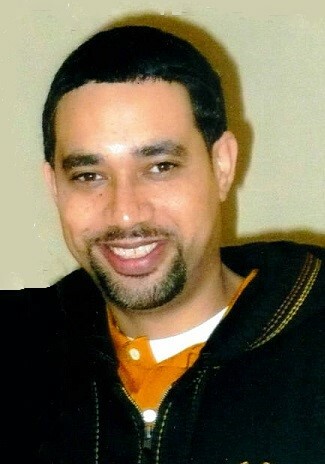 He is survived by his children, Madyson and Justin Walker; mother of his children, Mika M. Walker; mother, Cynthia M. Campbell; grandmother, Constance L. Gipson “MaMa”; sister, Nicole L. (Terrence) Searcy; special sister and her husband, Tracey and Dr. Percy Frasier; nephew, Nicholas J. Walker; niece, McKenzie D. Searcy; a host of other family and friends. Funeral service will be held 1 pm Monday, October 22, 2018 at Phillips Temple CME Church, 3620 Shiloh Springs Rd. Pastor Ervin Winston, officiating, Pastor James E. Washington, eulogist. Visitation 10 am-1 pm. Family will receive friends 12-1 pm. Interment Woodland Cemetery. Arrangements entrusted to House of Wheat Funeral Home, Inc.